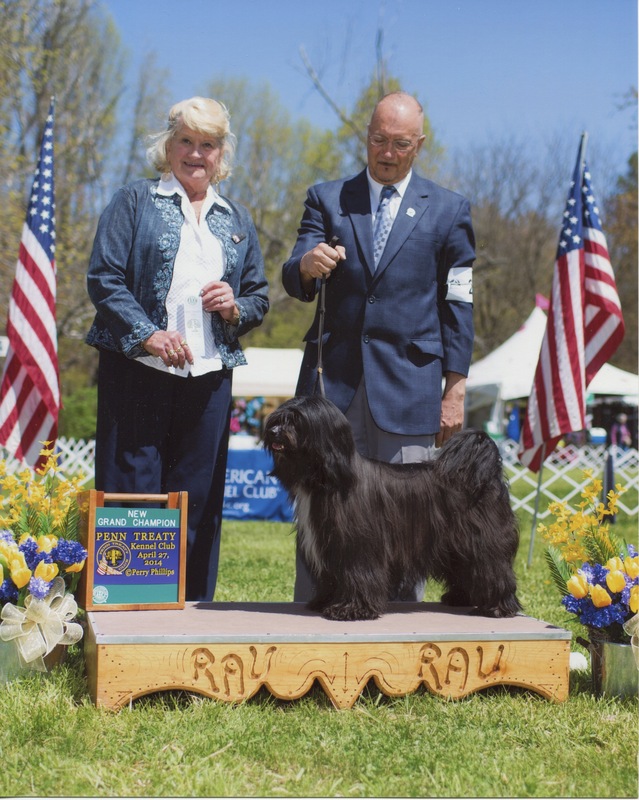 In the Spotlight is Yogi, GCH Kiara Harlem Night of Zin-Pa. Yogi was not born here. He was co-bred at Zin-Pa with breeder Susan Meluzin. His Dad Rudy, CH Kiara Harlem Globe Trotter, and his Mom Luna, Kiara Starry Starry Night, were a great combination and produced beautiful off-spring. Yogi was the first product of bringing two of the early Kiara Lines together: the original Black Line and the newer Red Line. And the result was near perfection. Yogi! Yogi was an exceptional pup. He stood out in remarkable ways in an impressive litter. It was Rudy & Luna's first breeding together and it lived up Sue's expectations and the hoped potential of the breeding pair. I couldn't resist acquiring this young boy. He came to live at Kiara when he was nearly six months old as he steadily continued to show the promise of excellence. And each day thereafter, Yogi has shined as an example of thoughtful breeding with his very unique ancestry. He stands out alone. However, he has beautiful siblings as well. He has a very handsome brother out of a repeat breeding and also a beautiful sister. Yogi is the first Grand Champion here at Kiara since the AKC has initiated these new titles. He earned this in his 12th year shown a dozen or so times. A feat in itself for an old guy shown against all the young ones competing for those points. 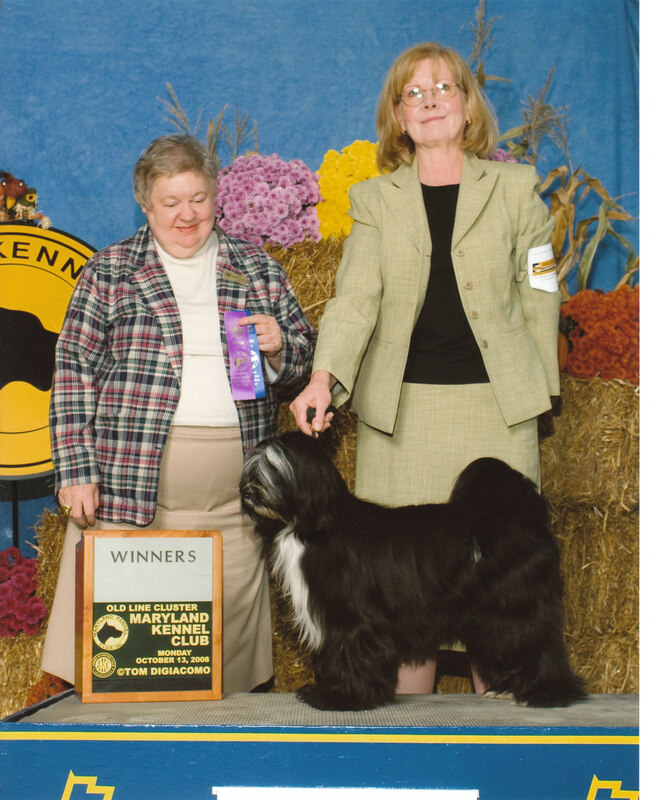 His half sister, Michael McLoughlin's Sadie, GCH CH Kiara Harlem Song, recently has now garnered that laurel for herself as well. 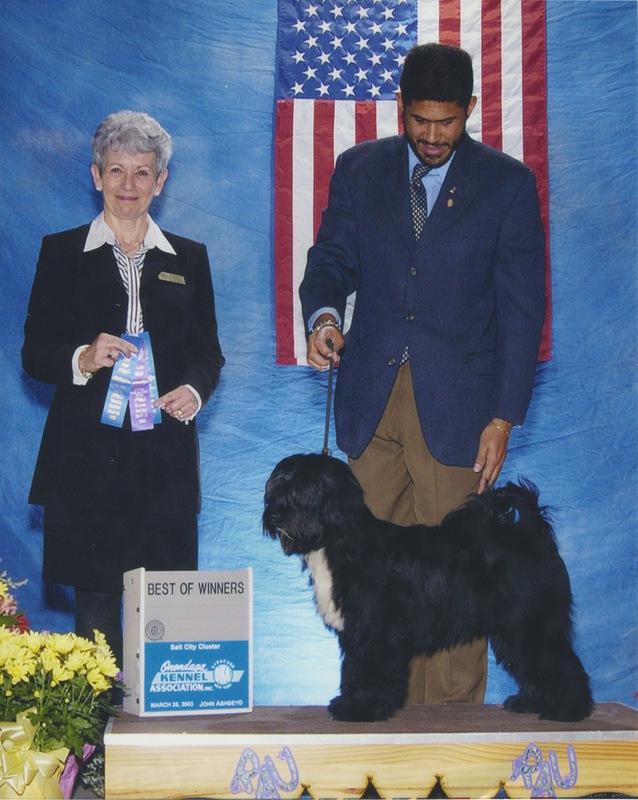 While Yogi was a young Champion, he was "specialed": what we used to do without earning the new AKC titles. And he was a very rewarded TT. He had his day and always loved to shine. 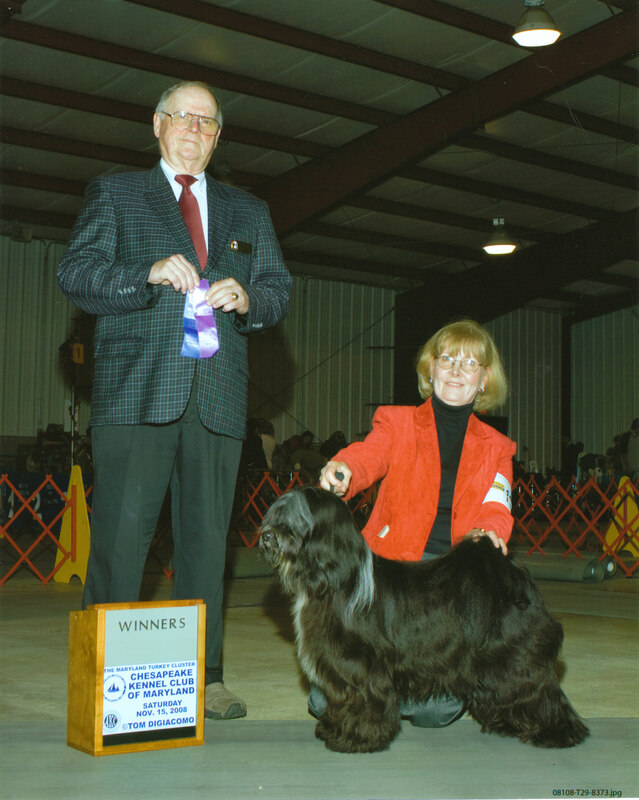 Even at twelve, Yogi loved to show and relished his times at the dog shows --way more than me. 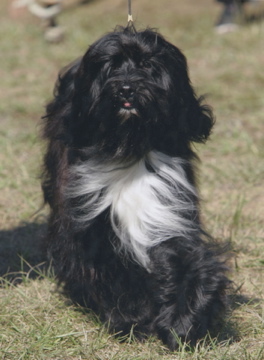 With all the new additional titles to add to that of AKC Champion now, Yogi may be the only one for me and my TTs. So glad we can celebrate his. More importantly than those show-ring brags, are the remarkable delights that bring the promise of the future. Those inspiring little ones looking up from the whelping box.Yogi is a dad again. This is only his second litter. But hopefully this will not be this remarkable TT's last. Pictured is mom, Loui-zzz, CH Kiara Give Me A Kiss To Build A Dream On, and their babes. Yogi was always a stand out in photos. 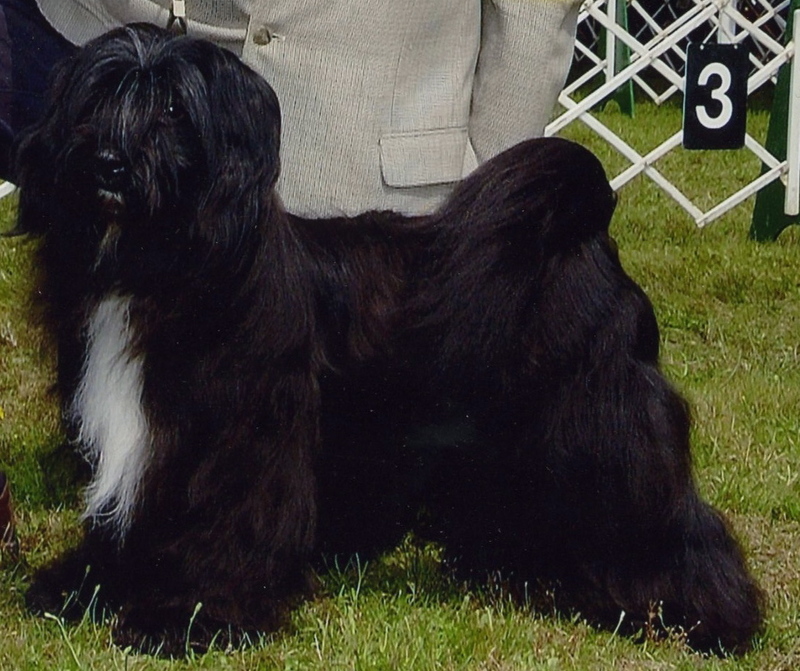 But those that caught him in motion truly showed a TT that would help define the breed standard. Yogi is in The Spotlight! After twelve years...it’s about time!